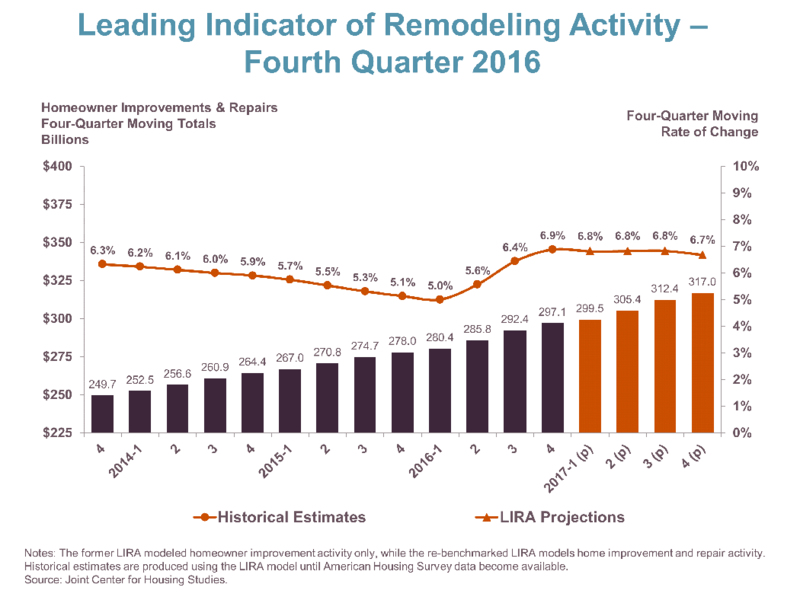 Home advisor is reporting that Harvard’s Joint Center for housing Studies recently released their Leading Indicator of Remodeling Activity that showed spending on home improvement (remodeling, repairs etc.) jumped 11.3% between 2014-15 and estimated that it rose 6.9% in 2016. In addition, they predict a 6.7% increase for 2017. Click here to read the full story on Homeadvisor.com.